Pablo’s passion for the guitar began 21 years ago, and he has since dedicated his life’s work to everything guitar related. 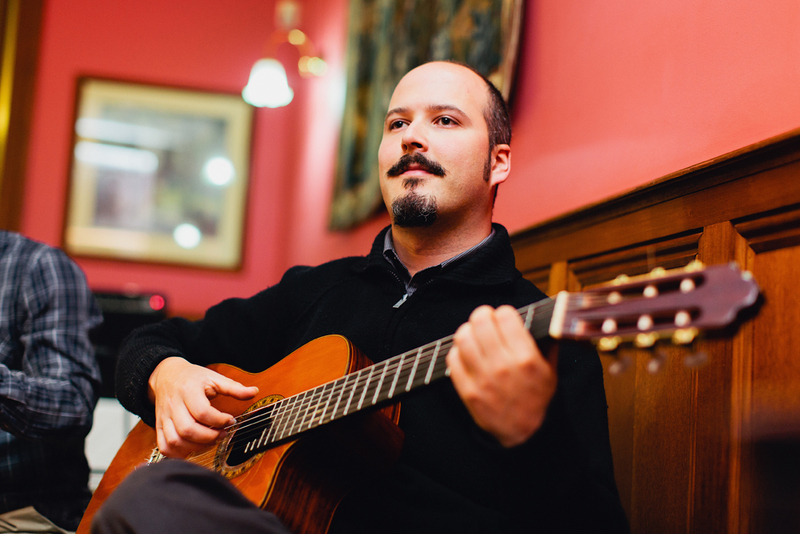 He has studied guitar in Latin America, the UK and Australia, with degrees in composition and music teaching. Pablo has played his Ambiente repertoire at many weddings over the years including venues such as Leonda by the Yarra, Stones, Toms Cap Winery, Woodman Estate, La Petanque and many more. He enjoys creating memorable experiences for couples on their wedding day, and even learns new pieces if the couple have particular favourites in mind. He has played his jazz, Latin and contemporary pop classics on a weekly basis at a variety of Melbourne restaurants, such as The Robert Burns, James Squire Brewhouse, De Los Santos, Bluefin, Mosq, Red Rock and many others. The warm ambience created by his live performance allows restaurants to offer that little extra something to their diners’ experience. Pablo has enjoyed numerous highlights throughout his musical career. He was invited to perform his Ambiente repertoire at a prestigious ceremony for the governor of Victoria at Government House. Original compositions from his 3rd album ‘Passages’ have been featured in advertisements and used by the film industry and he has performed his original music at festivals around Australia. To see more of what Pablo can offer you at your wedding, restaurant or event, see the ‘videos’ page of this website for samples of his different styles in the Ambiente repertoire. Pablo also has his own original composition projects, with his latest album ‘Black Euphoria’ and previous instrumental project ‘Orbeum’. For more information on these projects, visit http://www.pablonaranjo.com.